Los Angeles, CA. 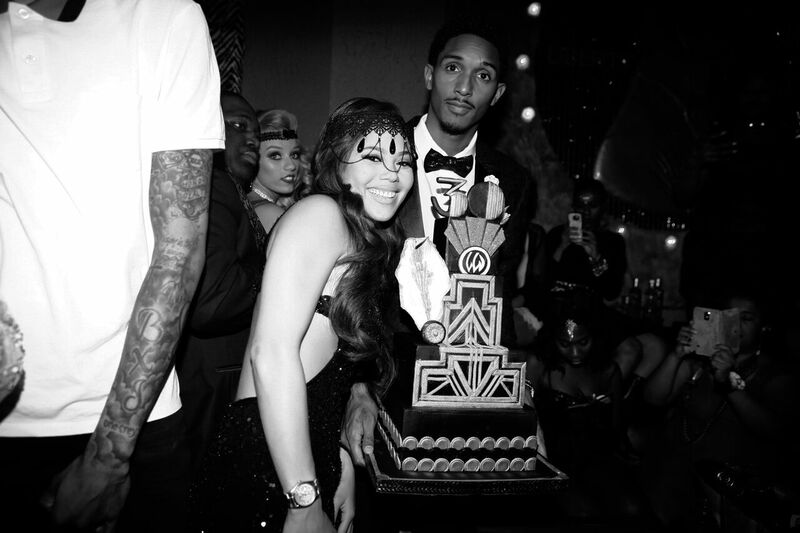 24 October 2016 – In celebration of his 30th birthday, Lakers Guard, Lou Williams, hosted a ‘Dirty 30’ Great Gatsby inspired party at downtown LA hotspot – The Reserve. Guests were lined up outside the nightclub, donning their best Gatsby attire ready to party the night away. As the doors opened, attendees flooded the underground 1920’s bank-turned-club and were greeted with ornate décor including large vault doors, dazzling oversized artwork, floating balloon displays by Balloon World LA and more. Shnapshots set up their interactive photo booth, capturing unforgettable moments of the night. DJ Bova and Quintana kept the vibes high, while entertainer Tonya Kay performed a burlesque piece in a life-size martini glass. Towards the end of the night the entire club sung ‘happy birthday’ to Lou Will, as he was presented a 4-tier art deco inspired cake by A Pinch of Spirit. “Last night was the best way to celebrate my dirty 30. I was surrounded by my friends, family and teammates, who all made the night special for me. I want to give a shout out to all of the sponsors who helped make this great night happen,” Lou Williams States. Ending the night, each guest was presented with an exclusive gift set of Ethika’s newest underwear collection. Thank you to our event partners: Ethika, Shnapshots, Balloon World LA and a Pinch of Spirit.